Hello, my name is Steve Grosso. I’ve been working as a personal trainer for over seven years. I have my Bachelor’s Degree in Clinical Exercise Science from Ithaca College and I am a NSCA Certified Personal Trainer. I use a wide array of training philosophies and modalities to help emphasize functionality in my clients. 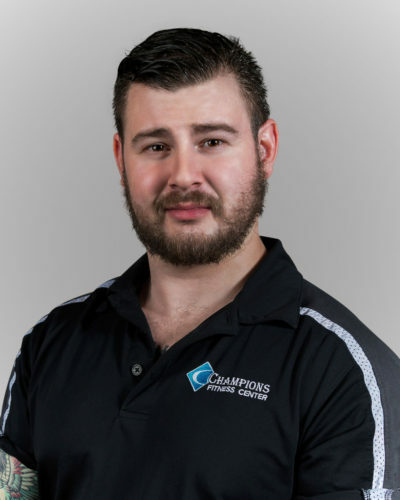 As an athlete, I have done everything from Collegiate rowing to competitive power-lifting; and as a trainer, I have worked in everything from sports strength and conditioning to cardiac rehab. This allows me to work with any client, with any goal. My primary focus is to help restore functionality to adults; primarily focusing on posture, core strength, injury rehabilitation, and overall body strengthening.